Beatrix has a $24$-hour digital clock on a glass table-top next to her desk. 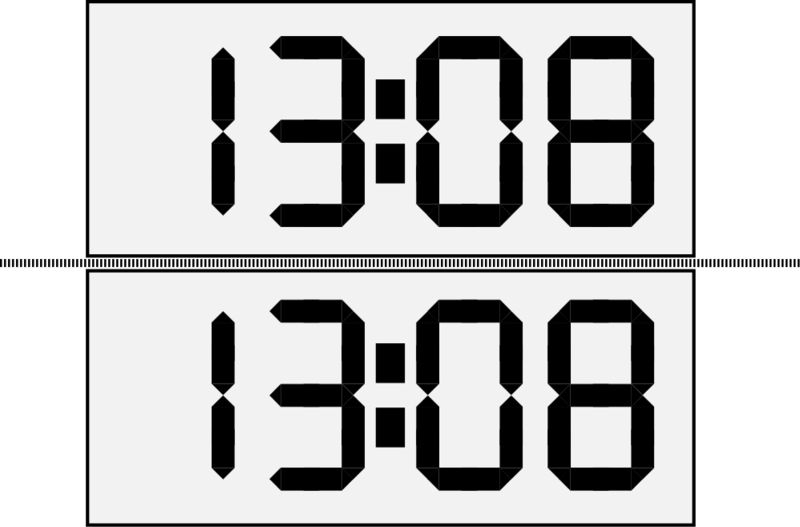 When she looked at the clock at $13:08$, she noticed that the reflected display also read $13:08$, as shown. How many times in a $24$-hour period do the display and its reflection give the same time?